Márcio and Adolpho decided to leave their trucks in São Paulo and take the road. They will travel along the coast of Brazil and with all their gastronomic experience will adapt dishes typical of each region in street food. 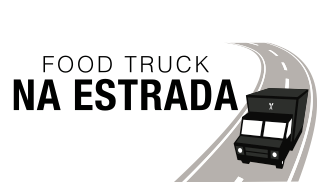 Each episode, Márcio and Adolpho know a local truck and its owner, and from that meeting, immerse themselves in the regional cuisine carried by local guides that will present ingredients typical of each place. From this experience they face the challenge of creating a new recipe, taking into account the type of food served on the truck, the local culinary traditions and the fact that they sell at the hottest season of the year this summer! The public of the truck can give a note to the plate, approving or not the innovation. The atmosphere of competition and irreverence between Marcio and Adolpho continues: during the sales they bet on the final average given by the public and who loses, pays the bet!